Holidays have never really meant anything to me. I’ve never really made a big deal about them probably because being born on a holiday I know that someone out there isn’t getting their own special day. But for some reason, and probably because of the birth of my son, this Christmas means something more then anything in the past. I am also loving that I am listening to more and more Christmas music! It only comes once a year right? It’s William’s first Christmas and I am enjoying putting together all of his gifts. Even though he doesn’t know what is going on it is really exciting knowing that someday in the next year he will be playing with these toys. Personally, I’m not sure who is more excited about opening these gifts me or him. I got a feeling its me. The nice thing is only being 6 weeks old he doesn’t even know what is going on… so he can see his gifts and has no clue. What’s great is that I truly feel like a father now that I have the joy of doing the annual putting together of Christmas gifts that every father has the joy of being apart of! It's all together and doesn't fall apart! I am more in the giving spirit this year and I am hoping that is one of the few bright spots I can look back on as I start to draft my 2010 year in review post slated to head to the publishers sometime next week. Let’s just say I’m ready for 2010 to be over and looking forward to the year of 2011 and hoping for the best! HAHA! It looks like he’s already enjoying the wagon!! 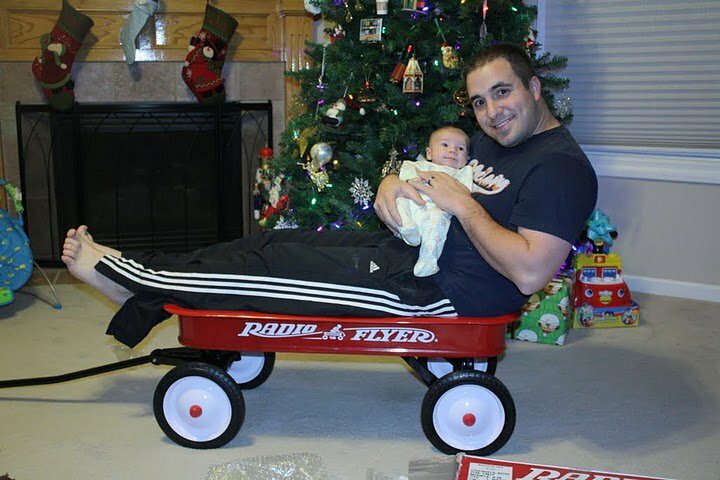 I love the photo of you two in the wagon, and I love the way you’re embracing fatherhood. My six kids have a great dad, and it makes all the difference in the world. congrats on getting the wagon together and it staying together!!! I have been watching a LOT of the Polar Express lately and it’s exciting to watch my kids get excited about Santa…makes me hope they believe for a long time! Merry Christmas to you and your family! Merry Christmas to you too! 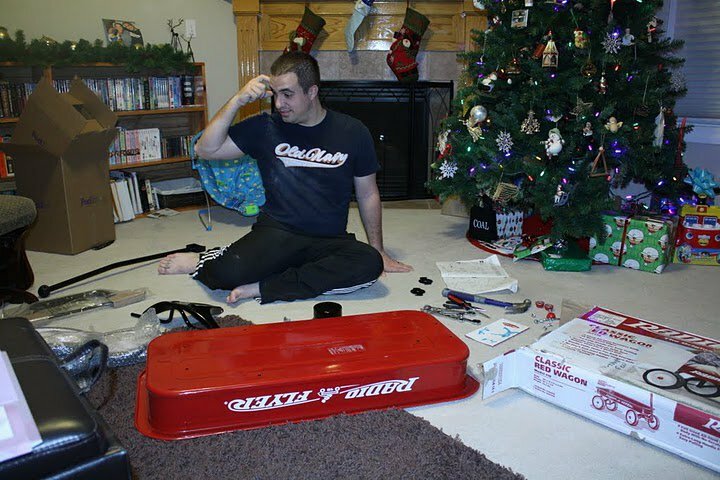 That wagon was harder to put together then I had thought. I lived polar express as a kid. Can’t wait to watch it with William.